This week the man known as Cable is back in a new ongoing, and we check in with the special 25 cent issue of Saga! From leader of X-Force, to raising the last hope for mutants, to even being an Avenger, Nathan Summers has gone through a lot of changes since he first hit the scene back in the 80’s. But that doesn’t mean he’s not immune to the “RessurXion” mini launch that Marvel is putting all of their X-Men titles through. 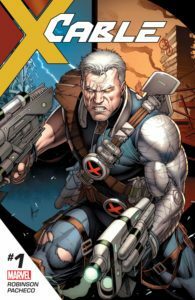 While Cable has never been a character I’ve actively collected and read, the latest series from James Robinson and Carlos Pacheco looks to be changing that. Someone is going through time and causing all kinds of havoc. Old West gunslingers suddenly have gigantic futuristic pistols. Japanese Ronin have flaming swords in place of Katanas. 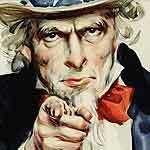 This time stream chaos is now brought to Cable’s attention, and he’s going to get to the bottom of it before the entire time stream is destroyed. Of course, this is easier said than done, as some of Cable’s foes are more formidable than he’s expecting, especially when they’re told to expect him. James Robinson does a pretty good job of creating an intriguing central mystery with this issue, but there are moments in his script where he falls into some typical cliché dialogue, especially with the scenes set in the Old West. 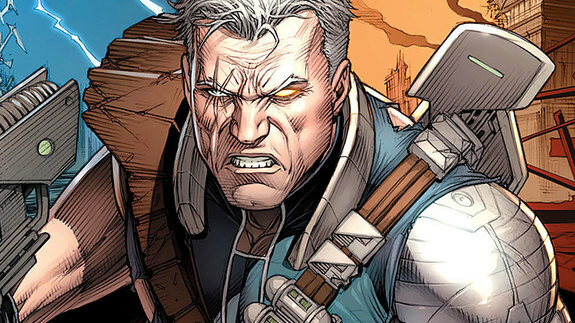 His dialogue for Cable though is really cool, and it’s actually pretty fun to see Cable walk into a bar and start taling with Cowboys. Cable’s always had a bit of an outlaw persona, so seeing his futuristic self juxtaposed against an actual Old West setting makes for a pretty interesting visual. Speaking of the visuals, Carlos Pacheco absolutely dominates this issue. Jumping through different time periods would sometimes make for a disjointed issue for some artists, but Pacheco is able to depict both the Old West and feudal Japan wonderfully. And just like it’s fun reading Cable’s dialogue with Western crooks and Japanese Ronins, it’s even more fun to see Pacheco’s depiction of Cable in these strange settings. So far Cable is off to a very strong start, and while the mystery is really only just beginning, there’s enough here to keep my interest for a few more issues. Cable hopping through different time periods in a time-spanning game of Cat and Mouse is a really cool idea, and if Robinson and Pacheco can keep up with this promising debut issue, we may have a Cable series that will keep my attention for once. Like the other Image mega series before it, Saga is putting out a special 25 cent issue to celebrate the 25th anniversary of Image Comics. Unlike the other books that did this, Saga’s special issue is actually pretty well-suited for new readers to pick up. The Brian K Vaughan and Fiona Staples smash hit indie has had a lot happen in the past 42 issues, but surprisingly that is consolidated pretty well in Saga #43. However, those of us who have been following since the beginning will probably find ourselves pretty bored while reading it. That’s not to say that Brian K Vaughan’s script is just a rehash of what’s come before in this series. Vaughan does pepper in some forward momentum for our thrown together family. But after a lengthy break (one that had a massive emotional gut punch at that), spending a good chunk of the book’s pages to get a new reader up to speed is a bit of a letdown. Granted, we do get some resolutions from the cliffhanger, but there’s not a whole lot here to make you feel like the wait was worth it. On the art side of things, Fiona Staples is still on top of her game. Saga is a wonderful showcase for her incredible design work, and she really brings it with this issue. From the Owl-like creatures to the absolutely disgusting um….”human waste” creatures, Staples continues to use Saga as her wonderfully weird canvas. If this is your first issue, you’re in for a treat. While it is a bit of a bummer to have this issue of Saga be a little lackluster after such a long wait, if the trade off is that someone new tries this out and gets hooked, then it’s worth it. 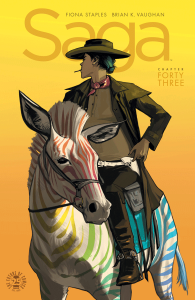 25 cents is a lot easier to part with than 10 bucks for a trade, and while you’ll still need to read the back issues to really get some of the subplots, this issue of Saga is a great issue for a new reader. And if you’ve been reading since the beginning like me, maybe you should pick up an extra copy to give to a friend. 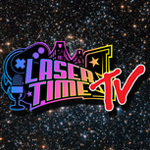 Danger Zone – Chris vs Dave: Watch Us Play!